This month, we're putting our spotlight on the Boston Blackie film series every Thursday night! Boston Blackie, a character first crafted by author Jack Boyle, was simply a safecracker and thief in the original stories. 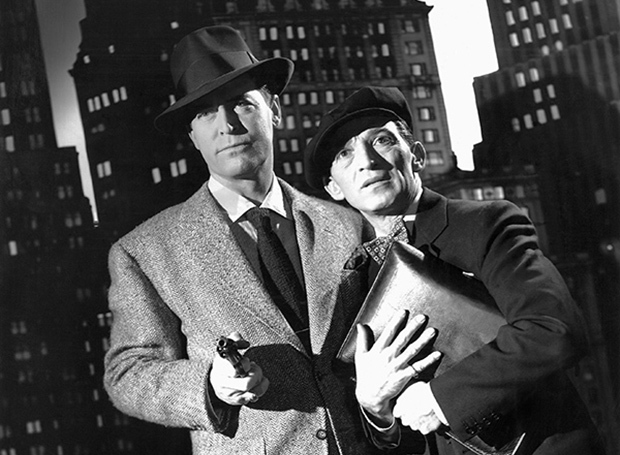 When those were adapted to the screen, however, Blackie became a detective who was formerly a criminal. Having the skills and street smarts of a safecracker, not to mention a wide network of criminals as colleagues and friends, made him a particularly strong detective much to the dismay of the police. Film adaptations were seen as early as 1917, but Boston Blackie became hugely popular when Columbia Pictures revived the series in 1941 with Meet Boston Blackie. Part of its success was due to its leading man Chester Morris, who film fans remember from his days as a romantic lead opposite stars like Norma Shearer in The Divorcee and Jean Harlow in Red-Headed Woman. Morris is both charming and crafty as Boston Blackie, but he is equally good in dramatic situations and convincing whenever danger arises. Of course part of the fun of the series is that Blackie is always accompanied by his loyal friend and side-kick "Runt" (George E. Stone) and they have many adventures together. We'll be showing the Boston Blackie series in chronological order, so join us for all the fun!